My Squirt is finally finished. It's been two years and was a very enjoyable project. 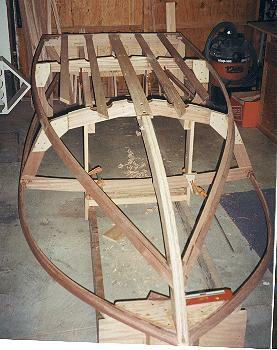 I built the frames of mahogany and planked with marine grade 6mm mahogany plywood. I glassed the bottom with deck cloth and epoxy. The deck, I just coated with 4 coats of epoxy and 4 coats of varnish. I've had three different engines on her. 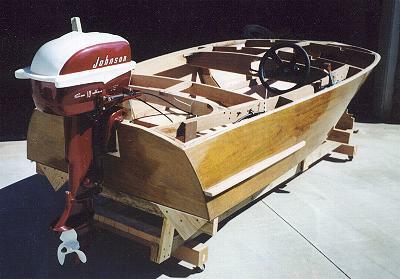 The first one was a 10 hp Seahorse, second, an 18 hp Evinrude. I wasn't really happy with the older engines, although they looked good on the boat. Now I found a 1984 Johnson, runs like new (very few hours). With this motor, the boat runs around 27 mph and rides very flat and stable with smart tabs, smallest ones. The Squirt has no bow rise when accelerating. I used a small fin on the bottom, so it doesn't slip in turns. 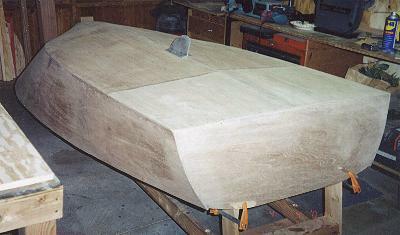 Thanks for your help throughout my boat building experience. Look forward to my next one.